It's almost time for Christmas! Have you finished your shopping? 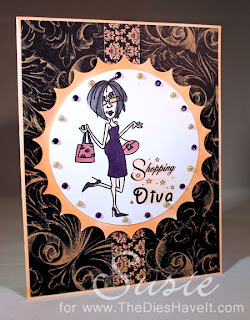 If not, here's a card for you, my shopping diva friends. I'll be back tomorrow with fun Christmas gift project. So cute! I love that image! I am on the Card Annex DT with you and I wanted to say hi! Have a great holiday!